How do I set up a session? Simply call 320-398-6250 or 320-275-1940. We’ll find a date and time perfect for you! Do I need to pay a retainer? Due to the demand for session times, we will ask you to pay for your session at the time of booking. If an evening or weekend session is booked, we do require a $500 retainer. That will go toward your order and session. We have extended hours on Saturday mornings and Tuesday evenings. If you are unable to keep your appointment, we are more than happy to reschedule your session. A 48 hour notice is required. What happens if it rains? Summer rain showers come and go. It may be rainy where you are, and sunny here. Give us a call the day of your appointment and we can assess the situation. We rarely have to reschedule. And we don’t mind a cloudy day! Do you go on Location? We have 10 beautifully landscaped acres here. We find most clients are happy to come here. Depending on the time of day, sun vs shade, etc. we find we have more than enough outdoor sets and locations to accommodate our clients. However, we are happy to travel. Ask us about our on location fee. How long do you save our files? We have several back up systems for our digital files. We will keep them as long as we are in business. And FYI, we are in our 20th year! How do I order? Your portraits will be ready to view in about a week. We will set up this viewing time when you are here for your portrait session. We will meet in our theater room and view your portraits on our large screen. This allows us to show your portraits with maximum flexibility and show you each image at its best. It is recommended that anyone helping make portrait decisions come at this time, as this is when you will place your order. Seniors must have a parent accompany them to this session. Payment in full is due at this time. Cash, Check, Visa, MasterCard and Discover are accepted. We also offer a flexible payment plan. Ask us for details. Will you retouch my blemishes? Of course! Every image that you purchase is fully retouched. We take care of blemishes, cuts, stray hairs, etc. More comprehensive retouching can be discussed at the time of your order. When will my order be ready? 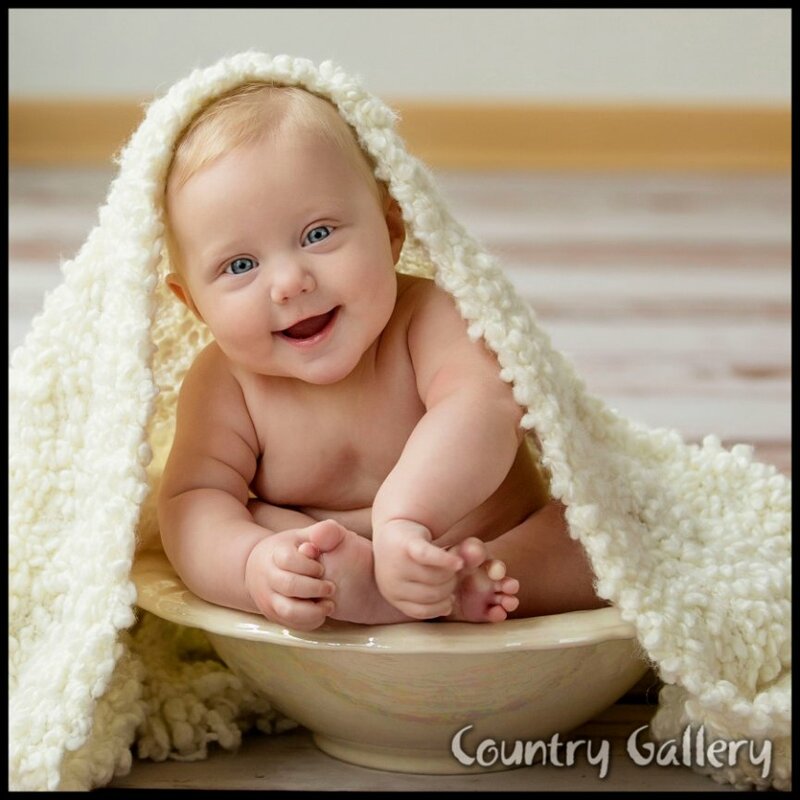 Country Gallery portraits are professionally retouched to create the best possible image for you. Orders placed January through May will be ready approximately 4 weeks from the date you ordered. Orders placed June through December will be ready approximately 8 weeks from the date you ordered. If there is a particular deadline you have, please let us know. Is your photographer qualified? You Betcha! Lisa has been professionally behind the camera since 1994.....and has had a camera in hand since age 11. She is a PPA Certified Photographer, has the PPA Certificate of Business Management and holds her Master and Craftsmen degrees. She is also an approved business instructor with the PPA. Lisa has her Affiliated, Service and Fellowship degrees with the Minnesota Professional Photographers Association. She is also an active member of the Professional Photographers of America and the Twin Cities Professional Photographers Assn.